The Quested S-Series fits seamlessly in to the Quested family of products, producing a flat, yet smooth reference to work from. 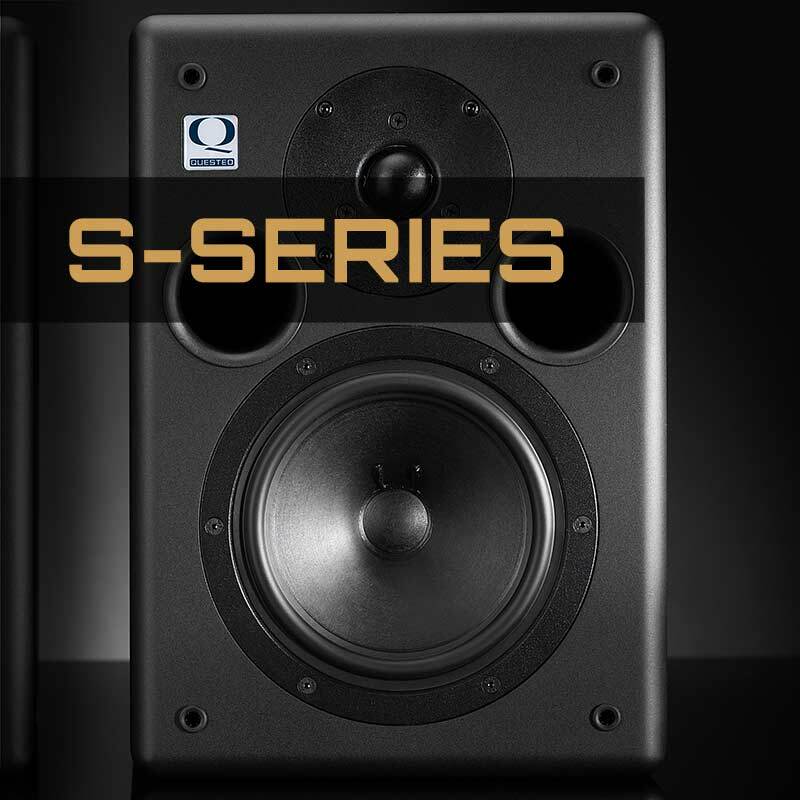 Designed to be at home in small production facilities, broadcast facilities, professional or domestic studios the S Series offers Quested’s quality and signature in a complete nearfield range that stays true to a heritage of solid engineering and bespoke class AB amplification. The S Series can be used in various configurations from a standard 2.0, to the most complex multi- channel formats. With a match input sensitivity selector on the rear panel, various S Series cabinets can easily sit in the same system. As with all Quested products, the S Series is hand built by a small dedicated team in England. S Series products come with a five year manufactures warranty. Get in touch to arrange a demo.